Merry Christmas! | Life... Out Loud! Can you believe it? The hustle and bustle of the season culminates on this day. The running around we have been doing for months is all because of today. The parties and the food and the wine and the workouts to keep it all from hugging your buns. The shopping and the sometimes stressing… It’s all for today. It’s about a baby born in a manger two-thousand years ago. A baby that would grow up just like us, yet without sin. A baby that would become a Savior. 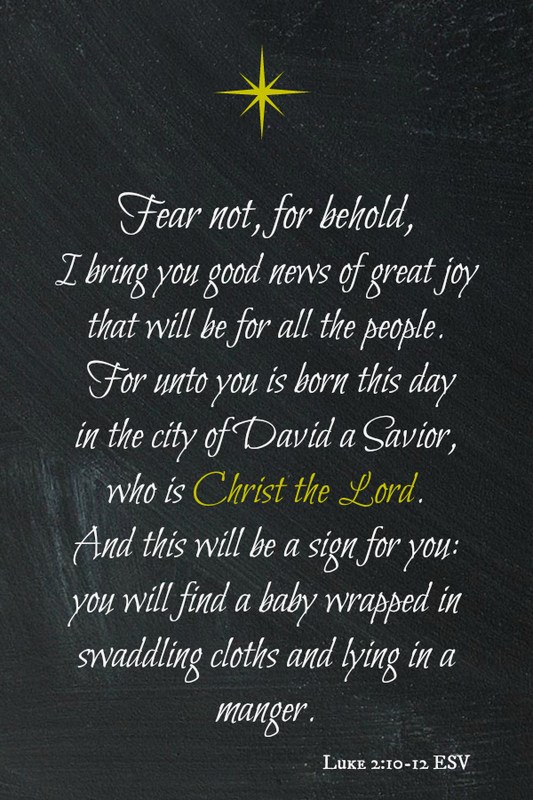 My hope and steadfast prayer for you and yours this Christmas is that you get to know this rock-out guy, Jesus. Maybe it’s not just my prayer, maybe it’s my hearts plea. He’s not for the rich or for the poor. He’s not for certain genders or races. He’s for all of us. Every single one of us who call ourselves human beings. But it will give you peace. It will give you joy. Sometimes knowing him may make you cry. This Christmas, I invite you to pause from the food and the family and the friends and the prezzy’s… I invite you to check out who Jesus is. It sounds super hokey (and if I were you I would have definitely already rolled my eyes) but I urge you as my readers, friends, a few of you family and some of you silent blog gawkers, inquire about Jesus. I promise you, as sure as I am typing these words, you will not regret it, for a second, ever! Merriest of Merry Christmases to you and yours!